Give your home the charm and appearance of a Mediterranean villa! Ideal Roofing's new Monteciano steel tiles are stamped with traditional barrel-vault shape. They have been manufactured from new and recycled steel. These Steel Shingles are long-lasting and will not deteriorate, warp, crack, break, chip, peel or perforate under normal use and weather conditions. They are also 60% lighter than asphalt and 95% lighter than clay, slate or cement the are also strong enough to walk on. 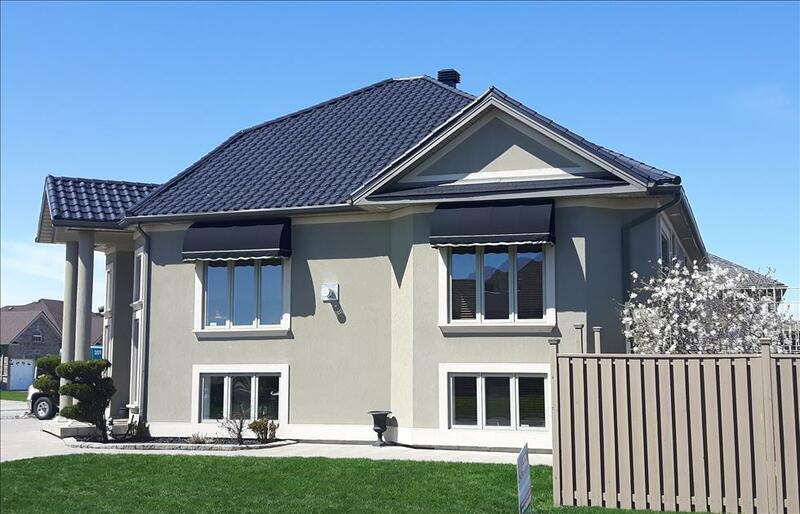 These steel tiles come in a per-formed panel and protected by the PVDF paint with Kynar 500 resin coating for durability and incorporates the "Cool Roof" solar reflection technology. This technology allows the reducing of air-conditional and protecting from solar radiation. If you're look for an alternative to common asphalt shingles visit our Wakefield Bridge page. If you would like economically style try the Heritage Series or the Junior Series, or if you are looking for a Tuff-Rib and Diamond Design make sure to see Wiseline.